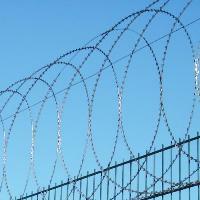 Razor Wire can be fitted to all surfaces such as gates, fences, walls. 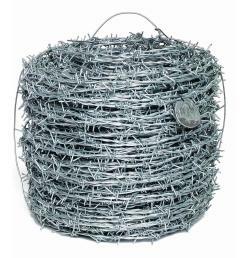 The wire is manufactured in different sizes and consists of razor sharp blades which are potentially dangerous for an intruder trying to breach the perimeter. 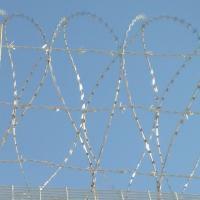 The Razor Wire (Barbed Tape) is manufactured in accordance with specification NATO STK No. 5660/99-458-7414. 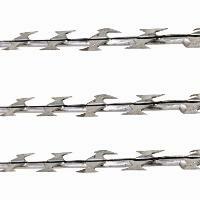 Concertina coil is used on applications where volume is necessary as it forms a tube of lethal blades that is very difficult to breach. 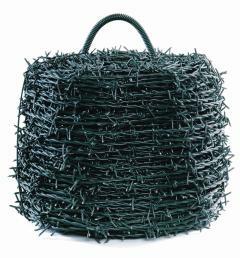 Typical Installations would be Military, Industrial, Residential, roofs, buildings. 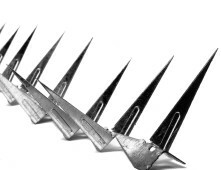 Warning – The manufacturers advise that Razor Spikes are potentially dangerous and should be attached to walls and fences at a minimum height of 2m. 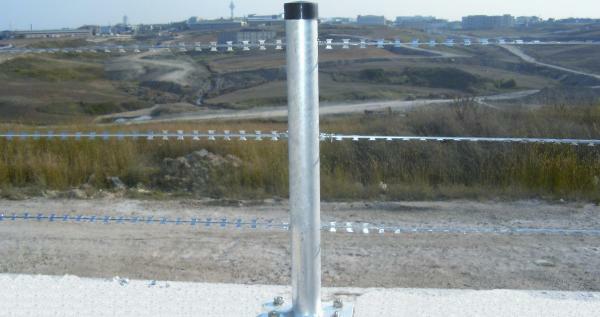 The installed wall spikes must avoid any and all contact with pedestrian traffic and be installed in a highly visible manner in compliance with local laws and regulations and necessary warning signs.